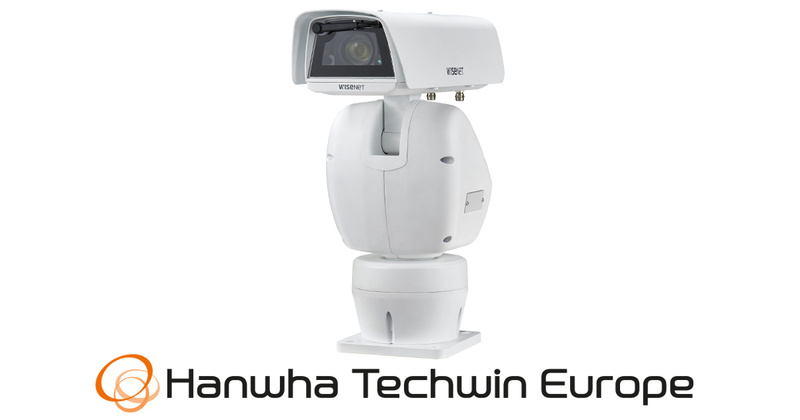 Hanwha Techwin has further strengthened its Wisenet T camera series with the addition of the 2-megapixel Wisenet TNU-6320 network Positioning CCTV camera. Cameras within the Wisenet T series are designed to capture high definition images in challenging environmental conditions, and the Wisenet TNU-6320 is no exception. With a robust aluminium die-cast exterior, the Wisenet TNU-6320 is able to work effectively even when the ambient temperature is as high as 55°C, or as low as minus 40°C. The Wisenet TNU-6320, which is a true day/night (ICR) camera, can be programmed to endlessly pan 360° in order to monitor a wide area and also offers operators the flexibility to select from up to 255 pre-set positions which can be scheduled. A wide range of features ensures the Wisenet TNU-6320 delivers optimised images in every situation. These include Progressive Scan, which provides sharp edges on moving subjects and vehicles, Wide Dynamic Range (WDR) which with performance greater than 120dB, can accurately produce images in scenes that simultaneously contain very bright and very dark areas, defog, Digital Image Stabilisation and a varifocal lens. Supporting H.264 and MJPEG compression and with an SD/SDHC/SDXC memory slot to ensure the video to automatically recorded in the event of network disruption, the Wisenet TNU-6320 also features motion detection and a wide range of analytics such as virtual line, appear/disappear, face detection and cameras tampering. Tagged Hanwha Techwin. Bookmark the permalink.